Now that President Trump's campaign promises to end the Affordable Care Act couldn't get past his own Republican party's tumultuous rejection of them, it's time for South Dakota to move ahead on one major aspect of the law. That would be expanding Medicaid coverage in our state, a plan that our Governor Daugaard did a pretty admirable job of crafting a year ago before everything went on political hold. The postponement, of course, was a by-product of the presidential campaign and subsequent election of Trump, whose fervent promises of doing away with ACA (also known as "Obamacare") seemed achievable, considering his party had Republican majorities in both houses of Congress. But calling the program "toast" was way premature, and Trump's failure to push its repeal and replacement through Congress leaves everything intact. As a chagrined House Speaker Paul Ryan put it in his concession speech last week, "ACA remains the law of the land." As tough as that fact is for many Republicans to swallow, it does give South Dakotans a shot at using ACA as a vehicle for advancing healthcare opportunities and giving our state a much-needed economic boost. First off, recent history demonstrates that the in-state political fallout isn't as potentially ominous as first meets the eye. Consider that 16 Republican governors have already expanded Medicaid in their states. That they were probably part of the reason that a fair number of GOP reps in Congress couldn't get behind Trump's rush to destroy ACA is one thing. That Vice-President Pence, when he was Governor of Indiana, expanded Medicaid for his state is another. Indiana's decision should make it pretty clear to recalcitrant Republicans here in South Dakota that expansion has some tangible benefits. in the state. On the second front, political opposition seems to be focused on ideological and partisan issues, which on a broader scale turned out to be hopeless when the entire ACA came under consideration in Congress. The same was true when Medicaid expansion specifically was adopted by so many GOP governors, Pence of Indiana included, around the country. Rejecting literally billions of dollars of federal Medicaid disbursements that will support this plan over the next few years makes no sense to me, especially as our Governor Daugaard's proposal makes it revenue-neutral for state budgeting purposes. Thune Figures It Out: Older South Dakotans Will Get Creamed By Trump/Ryan/Whoever-Care. Do Noem and Rounds Have A Clue? Our senior U.S. 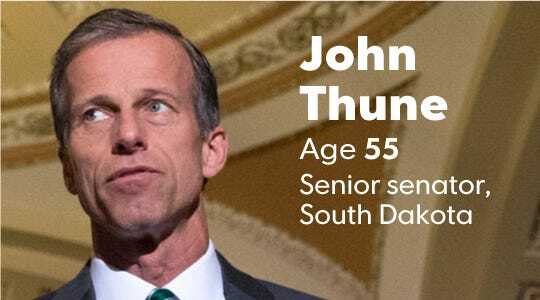 Senator, Republican John Thune, begged off on supporting the Obamacare replacement bill oozing out of the political entrails of a befuddled House of Representatives today. Thune told The Rapid City Journal that he and the rest of the Senate could work on a plan that would be "more helpful to people on the lower end." Good idea, since it's the lower end where many oldsters in South Dakota will be feeling the most acute financial pain if this over-hyped and under-considered fiasco of a replacement bill ever becomes law. Disheartening as it is, our all-Republican congressional delegation has spent years dissing the Affordable Care Act and voting countless times in a wasted political show of disdain to end it--and all that time these reflexive partisan yes-people haven't had a clue as to what a replacement would look like. Now that the House of Representatives--in a show of fealty to President Trump and his reckless promise to repeal and replace ACA immediately upon taking office--has hurriedly trotted out a poorly conceived and politically poisonous replacement, our elected reps are forced to pay attention to the details of healthcare policy. be likely to sink this ship before it's even christened. That should be welcome news to aging South Dakotans. A study of the replacement bill by the Kaiser Family Foundation shows that it would raise health insurance costs for lower- and middle-income 60-year-olds on average by $3,000/year. Considering the rapid growth of the aging population of our state (South Dakota State University calls it a "dramatic increase"), our nearly 200,000 residents aged between mid-40s and mid-60s stand to get financially hammered as the years go by if the GOP plan goes into effect. That's the aging group that probably most needs health insurance, just at a time when they're most likely to develop penny-watching retirement plans and budgets. Buen Comercio, SI! Mexit, NO! Mexico City--Amazingly (color me facetious), Donald Trump and his anti-Mexico histrionics aren't on everybody's mind, every single minute of the day here. The 8+ million inhabitants of this city (almost that many more in the greater area) have to contend with all the pressing urban issues that consume city dwellers. For the most part, the local media devote most of their attention to parochial concerns, with the expected amount of limited op-ed attention paid to matters connected to relations with the U.S.
Not that there's any love lost between Mexican editorialists and President Trump. In its analysis of Trump's issues with the complications of repealing Obamacare, Mexican News Daily refers to Trump as "the Tangerine Tornado." The rest of today's edition has a piece about Mexican avocado growers "not sweating over NAFTA" because they sell $2.2 billion worth of fruit to the USA every year and will continue to do so, NAFTA or no NAFTA. I shouldn't have been, but was, taken aback by a note in the piece about local environmentalists concerned that rapacious avocado growers are continuing to expand by destroying Monarch butterfly habitat in order to plant more trees. Another reaction in the piece noted that the trade issues with the U.S.A. could be an opportunity in disguise, as Mexicans will be forced to seek out other markets and develop trade ties with a broader array of countries if relations with the U.S. continue to sour. That prospect has already emerged. A couple of weeks ago a bill requiring Mexico to buy its corn from Brazil and Argentina instead of the United States was discussed in the Mexican senate. Meantime, the Chinese global news giant YIBADA reported last month that while U.S.-Mexican trade tensions are building, China "is taking the opportunity to strengthen ties with Mexico." These are probably incremental, baby-sized steps at this stage of Trump administration's handling of the NAFTA relationship, but they are definitely going in the wrong direction from our local perspective. As I noted here last week, South Dakota's $400 billion a year in sales to Mexico (out of a total of $1.4 billion in exports) should be enough to keep us focused as our trade relationship evolves. My sense is that Mexico--if not exactly defiant--is nevertheless developing its fallback options. It's a country with considerable comparative advantages, particularly in the way of natural resources and a cheap but increasingly skilled labor force. 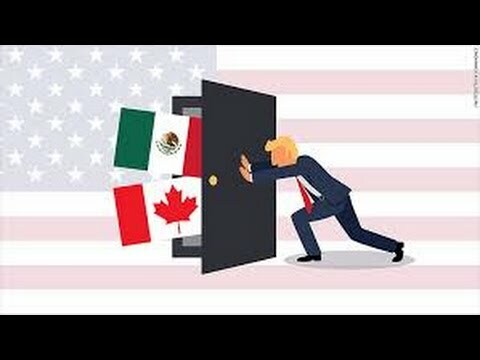 A revisit to NAFTA is probably way past due. 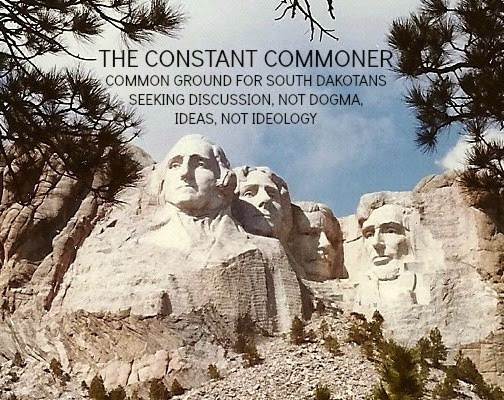 A Mexit wouldn't do us much good and could be exceptionally bad for South Dakota. I'm South Of The Border, Down Mexico Way. take on departure is that the rockiness of our association can only hurt where we'll feel it the most--in the pocketbook. Mexico, since the inception of NAFTA, has turned into an immense market for South Dakota during the past couple of decades, particularly when it comes to our agricultural production. I watched much of this happen during my years in local cattle production and marketing back in the '80s and '90s, but even as things were heating up on the free trade front back then, it hardly seemed realistic that we'd get to where we are now with our sales to Mexico. In 1995 total SD exports to Mexico amounted to a virtually negligible $6 million. Mexico was then our 10th largest market. In 2015 that number swelled to $400 million as Mexico became our 2nd largest foreign market. Mexicans than we buy from them. What we need to focus on is the amount of our sales, not the net dollar differential in our trade. And that's where the more insidious problem resides. If Mexico responds to our protective trade impulses with retaliatory trade measures of their own, we're off and running to a trade war, which could easily result in a serious slowdown of South Dakota's agricultural sales to Mexico. In the meantime, tariffed, goods that we buy from Mexico will get more expensive. Of such dynamics are international financial crises bred. That anybody thinks a scenario like that will get American workers back to the production lines because we'll all be "buying American" again is a poor reflection on our collective grasp of history.